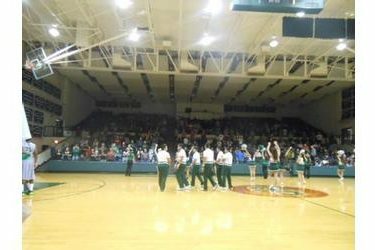 The South Plains Texans flexed their muscles in the second half of a 76-57 win over Seward in the Green House Saturday night. The Saints bolted to a 31-23 lead late in the first half before the Texans finished on a 7-0 run to trail by one (31-30) at halftime. But the #9 Texans outscored the Saints 46-26 in the second half by shooting 52 percent in the second half and 5-10 from three point range. Niem Stevenson had 14 and Kevin Smith added 11 in the loss. The Saints are 3-3 with two losses coming against ranked teams. SPC is 7-0. Seward plays at Dodge City Friday at 5 against Butler and Saturday at 2 against Raleigh’s Finest. Friday’s game airs on 1270 and kscbnews.net.